In what is sure to either divide or just start-up dialogue, Spike Lee has returned with his latest project called BlacKkKlansman. It’s based on the true story of former Colorado Springs, Colorado police detective Ron Stallworth and his subsequent infiltration of that town’s chapter of the Ku Klux Klan. 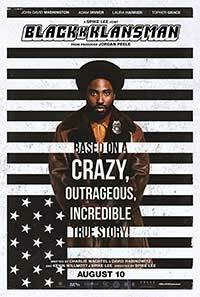 The film stars John David Washington as Ron Stallworth, an eager young man who is brought onto the police force to “diversify” their ranks. The higher-ups know how it will look, especially in the era’s climate, but they need to change with the times and Stallworth is essentially their poster boy for these new times of acceptance. I say that last part with a bit of facetiousness in tone. Stallworth starts out at the bottom of the heap handling the archives and reports in the police department’s basement – during the graveyard shift – essentially out of sight and out of mind. As this starts to stale he asks to be transferred and his supervisors reluctantly agree. His first assignment is to go undercover at a local student gathering where a prominent African-American speaker will be on hand to address the crowd. Soon afterwards, Stallworth sees an ad in the local newspaper actively recruiting for KKK membership. Without hesitation, Stallworth picks up the phone and gets the ball rolling. This obviously puts him in a pickle because Stallworth is black and the KKK will be expecting a white man. That’s where his co-worker Flip Zimmerman (Adam Driver) comes into the picture. They both team up for a joint operation in which Flip will wear a wire while meeting up with the Klan while Stallworth will stick to being the man on the phone. It’s a dangerous subterfuge but it’s the only way to gather intelligence and hopefully catch them in illegal activities and shut them down permanently. I remember watching the trailer for BlacKkKlansmen a few months ago and thinking it looked great. I knew it would have satire along with some scathing political commentary peppered in with some comedy but the final product transcended those expectations. The film changes a few things around, mainly the time frame. The original events actually took place in 1979. The film takes place around 1972 – at the height of the Vietnam war, Nixon’s reelection, and student activism. I think in doing it this way – it drives the narrative home a bit more and can be juxtaposed to the current events happening in our country today. Spike Lee has returned with a vengeance with BlacKkKlansman – it’s an important film with a lot to say and if it offends and makes you actually feel something then I think it will have done its job. The film’s coda is especially heart-wrenching and will shake you to the core. In fact, BlacKkKlansman is one of the absolute best films of 2018. I think that the overall film has enough variables that it will not necessarily alienate the general film audience. As I mentioned before, you have satire, social commentary, comedy, action, drama, etc., so you do get a nice heaping spoonful of themes. The film also runs 135-minutes long. The Blu-ray release cannot come soon enough for me – I’m tempted to go back and watch it a second time on the big screen. Something of this scale, magnitude, and importance needs to be experienced on a big screen and with a crowd. If it makes you feel uncomfortable then good. Anything that shakes the general movie-going audience out of apathy and complacency is valid just for that. 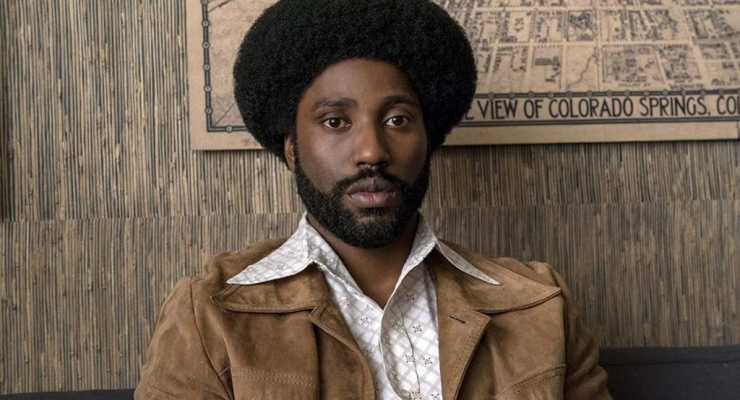 BlacKkKlansman gets my highest possible recommendation. Based on the true story of Ron Stallworth, an African-American police officer from Colorado who infiltrates the local Ku Klux Klan with the help of a white surrogate,BlacKkKlansman is Spike Lee's best film in years. In today's turbulent times - important films like BlacKkKlansman are the sledgehammer to the head we need in order to shake us out of apathy and complacency. BlacKkKlansman is a masterpiece.